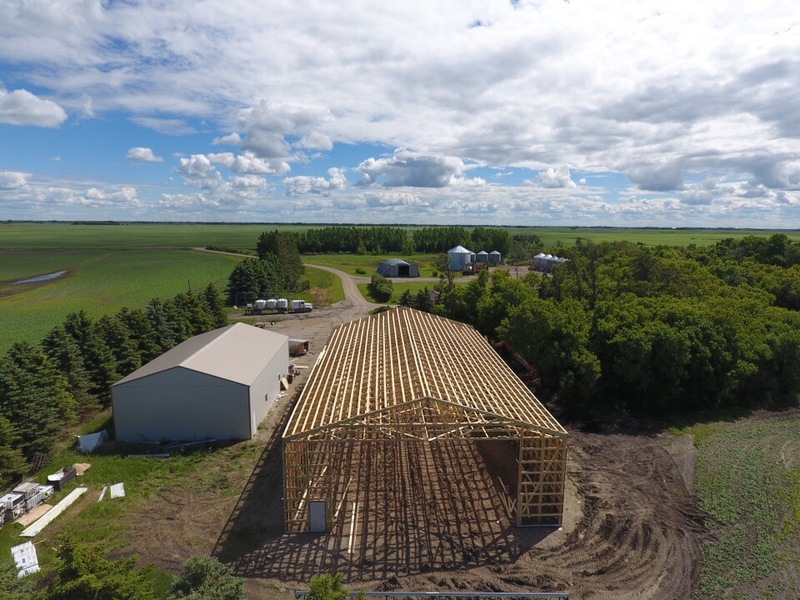 When you purchase a building from AFAB Industries, you’re getting the best quality building money can buy. While our service and experience are second to none, it’s the quality of craftsmanship and our materials that separate us from our competitors. We invite you to compare. If quality is what you’re looking for, then look no farther. The AFAB advantage is built into every building. Judge for yourself. AFAB’S CLASSIC building has a truss bearing on every laminated post that are buried 6 ft. and tamped with crushed rock. 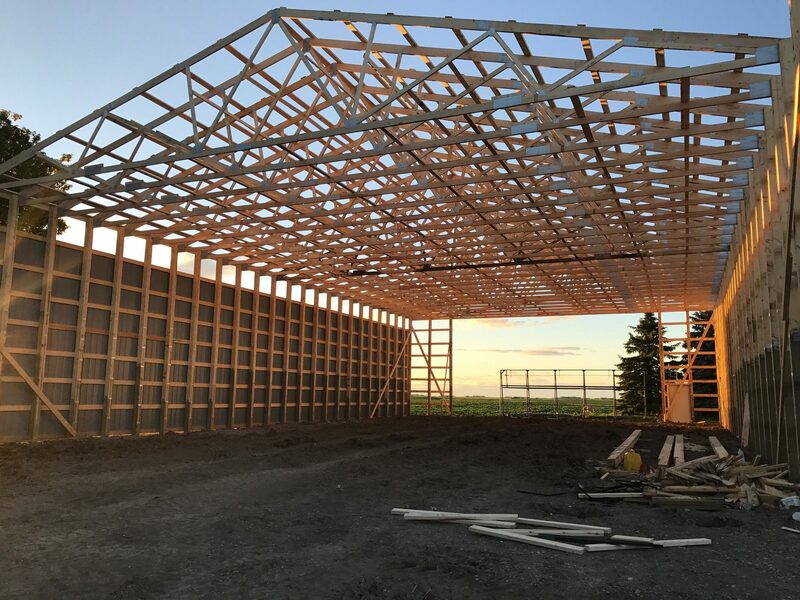 Post & truss are 4 feet on-centre on the side walls, end wall posts are spaced up to maximum of 6 feet on-centre and are full length to top cord of truss. 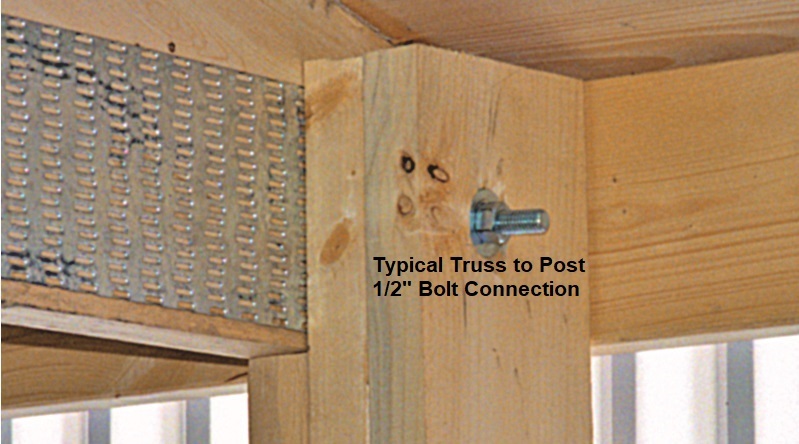 We employ a superior truss fastening system by bolting the truss to the post. Our ULTRAPOSTS are glued with 3,500 psi applied while being mechanically fastened. 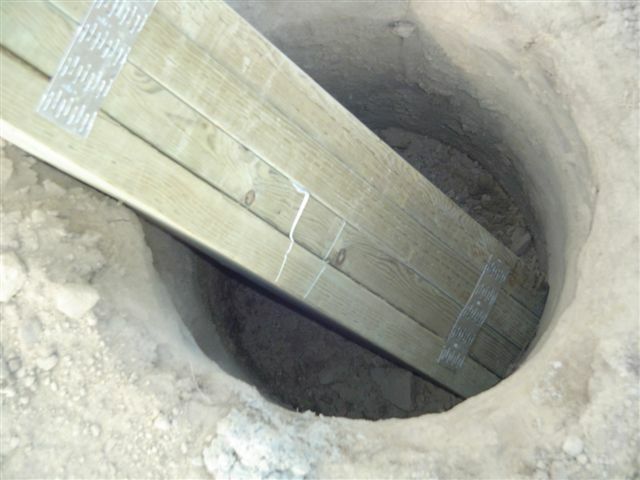 PWF (Permanent Wood Foundation) treated lumber is used in the below grade portion of the column. All strapping joints are staggered for superior strength and durability. 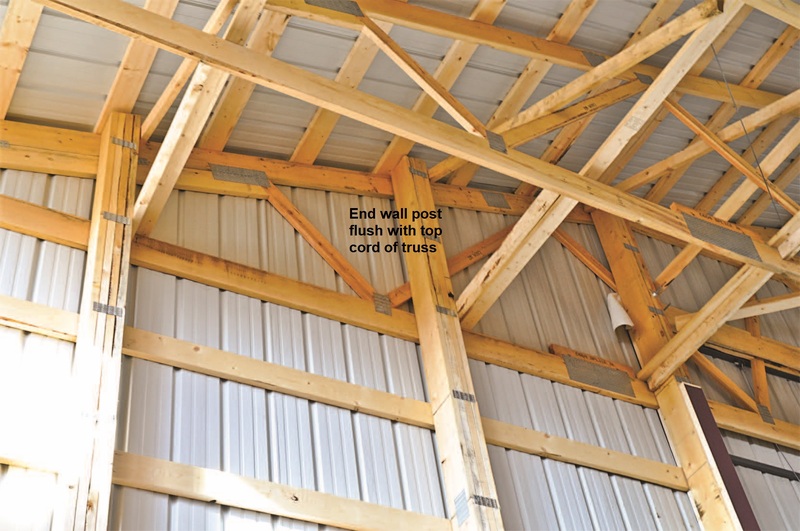 All exterior roof & wall strapping is #2 & better kilned dried spruce. All cladding is fastened with #14 wood grips with neoprene washers. Our unique custom flashing system covers all exposed lumber on door headers. Select from a variety of doors (Overhead, Bi-Fold and Sliding). 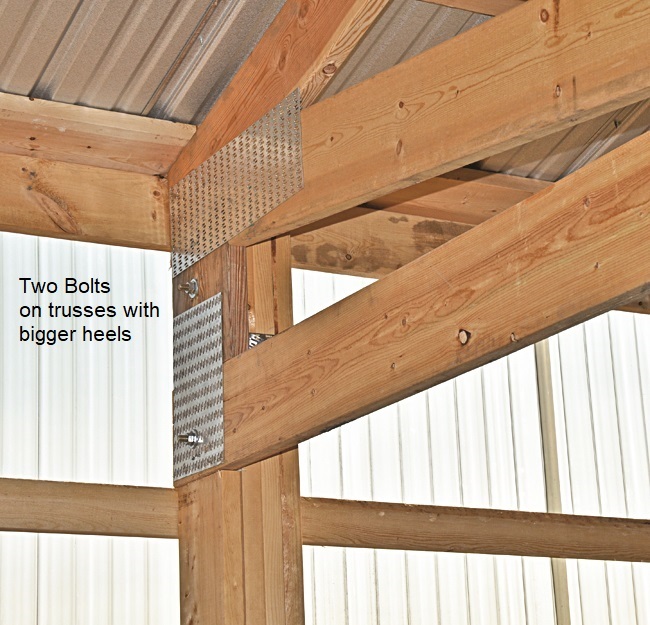 Every step in the AFAB building process is designed to exceed building codes.